France, Calais. 'Jungle' camp for refugees. 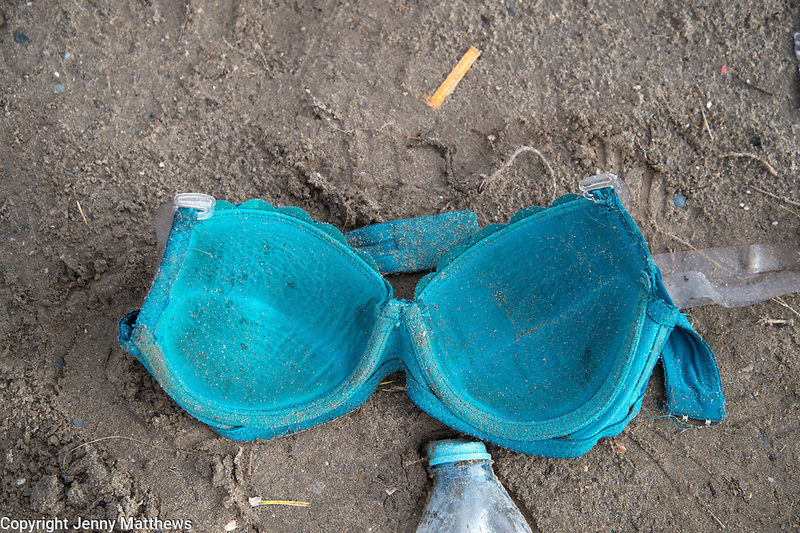 A discarded blue bra and water bottle.